di_lifestyle_msk has no other items for sale. 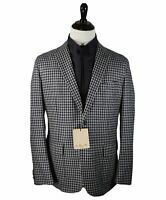 $1,575 LUIGI BIANCHI MANTOVA -Vested Coat Blazer Pure Wool Check - 46R 2018! $3,180 BRUNELLO CUCINELLI -Solid Gray 2-3 Button Roll WoolSilk Blazer -50R 2018!